Fontface, the Fontspring Font Review, has published yet another four brand new typefaces in their April 2019 issue. These font families are the real deal! 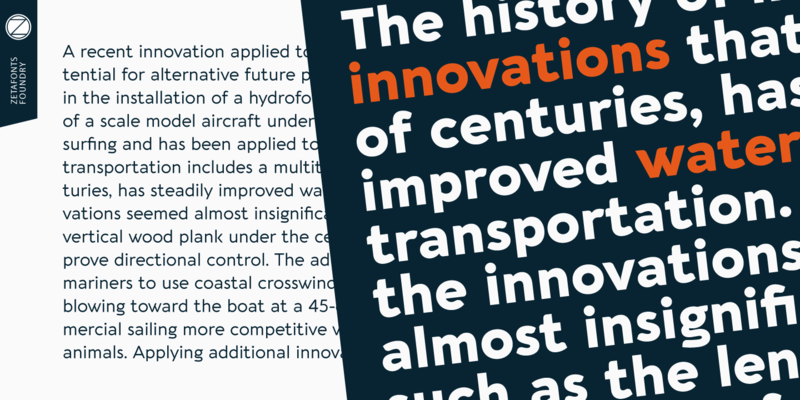 Aquawax Pro is a complete redesign and expansion of a successful family by Zetafonts. Its rhythmic rounded corners give it a futuristic hydrodynamic look while its simple design makes for a fluid read. It’s no wonder Warner Bros. chose it as their logotype for the Aquaman film. Explore uncharted depths with this versatile sans in 27 styles. Introductory offer with a 75% discount until April 29, 2019. 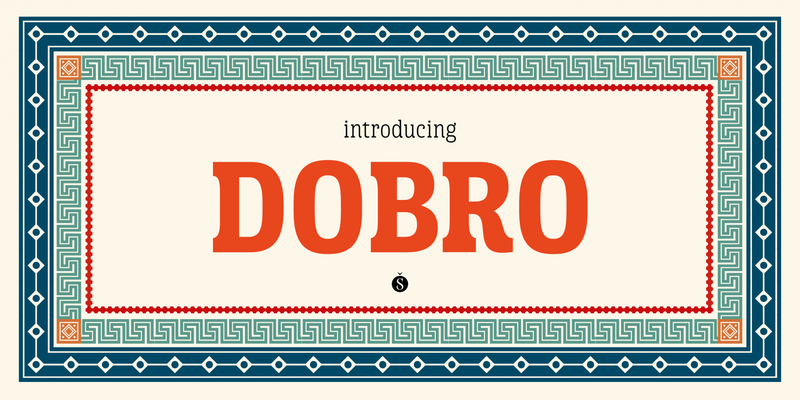 Sudtipos breathes new life into the traditional slab serif with Dobro, a fresh western-inspired family. Dobro includes four weights plus “Drunk” and “Drunk Color” for the rowdier folks. As if that weren’t enough, a decorative set of wood-type frames is included to top it all off. Introductory offer with a 50% discount until April 20, 2019. 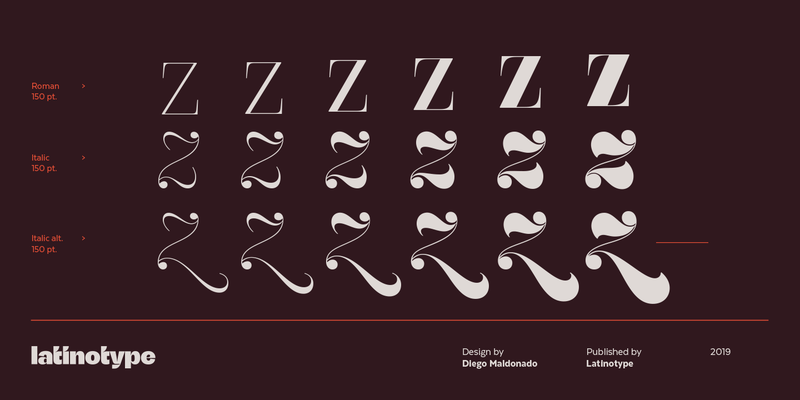 Latinotype has taken an attractive new typeface and dialed it up to eleven. 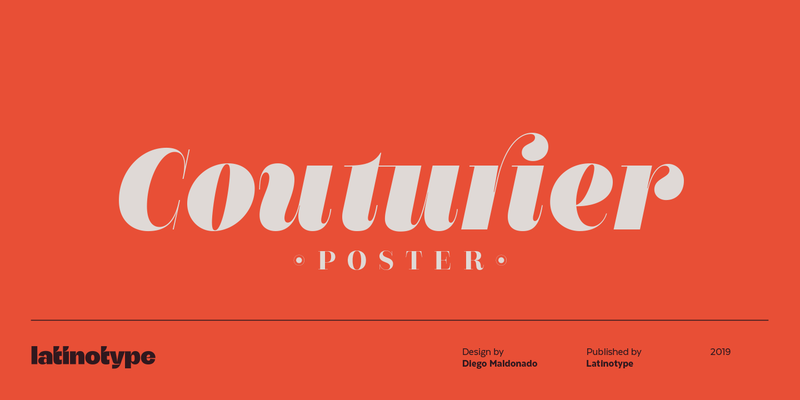 Couturier Poster is pure eye candy with grandiose handlebar swashes and sweeping teardrop terminals. This daring and delectable Didone family is high contrast and high concept, guaranteed to turn heads in headlines. Introductory offer with a 75% discount until April 15, 2019. 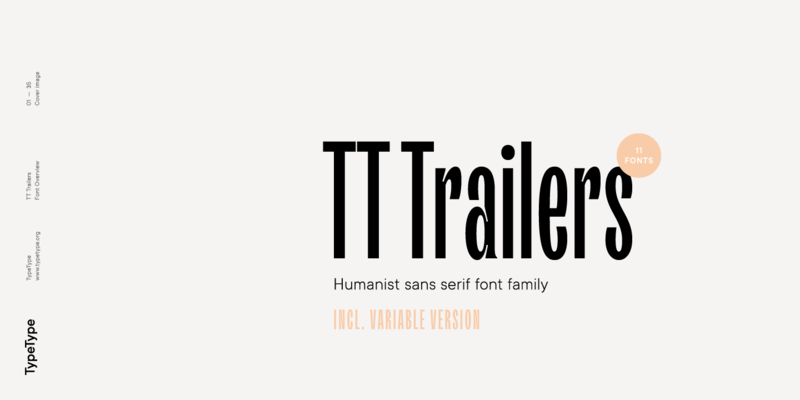 Don’t let its narrow structure fool you, the TT Trailers family by TypeType is chock-full of unique humanist details. From its extraordinary ink traps to its looped apertures, there are plenty of creative touches throughout. OpenType and variable versions are also included so you can customize it to fit your needs. Introductory offer with a 76% discount until April 19, 2019. Except Dobro, all above listed fonts come with a Worry-Free license and can be purchased as a desktop and web font. Fontspring are also offering licenses for ebooks and applications.